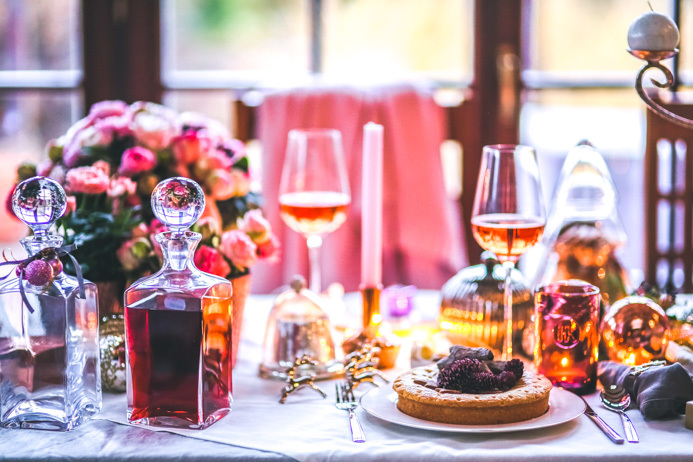 Rosé wine food pairing guide – perfect rosé wine and food matches for all occasions. 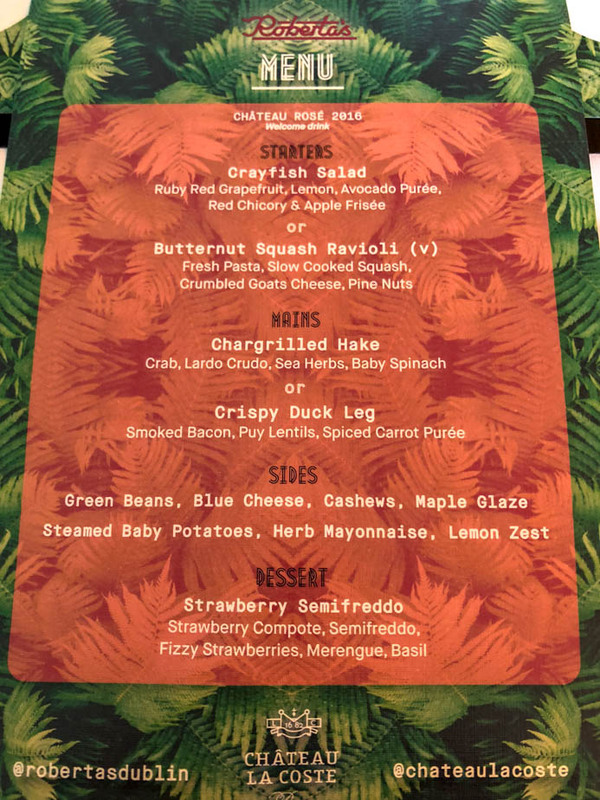 Last month I was invited to a rosé wine and food matching dinner with Chateau la Coste in the very cool Roberta’s Restaurant in Dublin City centre. Chateau la Coste is an organic winemaker and vineyard situated in Provence in France. Chateau la Coste adheres to biodynamic principles and in 2009 its wines were given the French organic label “AB” in recognition of the respect shown to the land along with the methods used which are in perfect harmony with nature. We drank three organic wines – two organic rosé wines and an organic sparkling rosé wine. We learned all about rosé wine and food matching. And now I am going to pass that knowledge onto you. 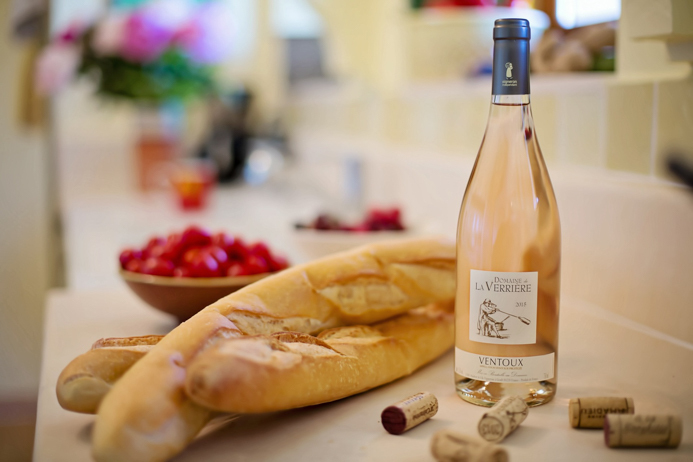 These rosé wine food matching tips aren’t specific to Chateau la Coste wines, they apply to all rosé wines. I will list the Chateau la Coste wines and some other rosé wines that I enjoy drinking and I’ll let you know with which foods they pair well. 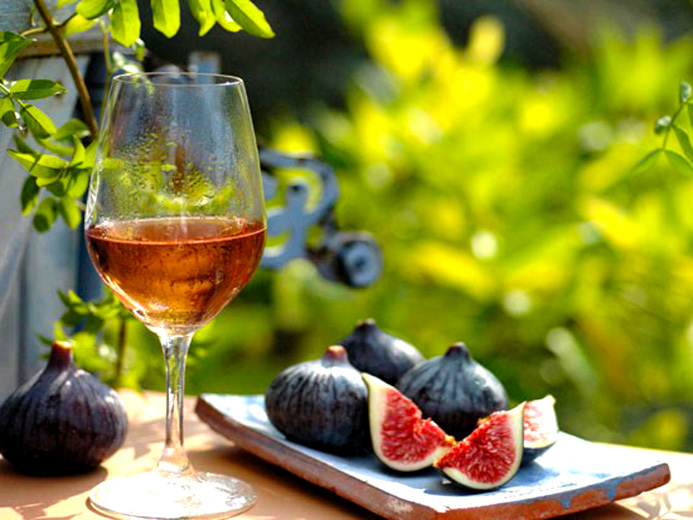 Look out for rosé wines from Provence in France as most of these are light and dry. So too are Pinot Noir based rosés from Burgundy and the Loire Valley. Also look out for Italian Bardolino Chiaretto. My favourite rosé wine and food matching is dry rosé wine with anything cheesy. 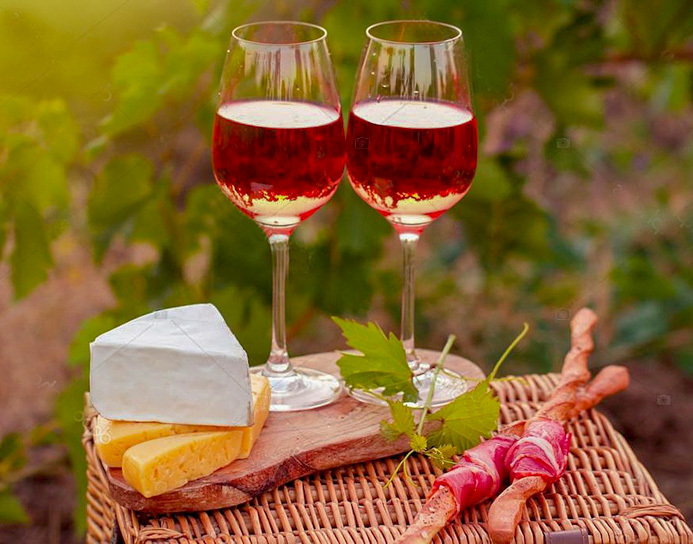 Almost all cheeses pair well with dry rosé, which has the acidity of white wine and the fruit character of red. Check out this recipe from ILoveCooking.ie for grilled blackberry and cheese sandwich, which is made for scoffing whilst quaffing dry rosé wine. Light dry rosé wines also pair well with light salads, pasta and rice dishes. Most seafood, particularly grilled fish and raw and lightly cooked shellfish. Look for rosé wines from other areas of Loire, particular Anjou and from Portugal too as these have a touch of sweetness. Light off-dry rosé wines are versatile and pair wonderfully with white meats, lightly spiced dishes and barbeque foods. They also match well with Lebanese, Greek and Turkish cuisine. Look for Californian ‘white’ Zinfandel wines and sparkling Zinfandel. Most ‘white’ Zinfandel is made deliberately to an ‘off-dry’ style with about 3-5 grams of residual sugar making it moderately sweet. These light and fruity off-dry pink “whites” pair well with spicy Asian dishes of chicken, herby vegetarian and chilli flavoured shellfish. When it comes to pairing with curries, think Thai more than Indian. These medium dry rosé wines are great served with dessert and sweet food like fresh strawberries and figs and fresh fruit tarts. Just make sure the food you are pairing isn’t too sweet. Look for rosé wines from the south of France particularly the Rhône and Languedoc regions and Spanish rosés wines from Rioja and Navarra. These wines have the complexity and structure to complement flavourful dishes and pair well with rich flavours such as anchovy, olives and garlic. Think about the foods you eat on holiday in Spain, jamón, paella, chorizo, seafood or mild sheep cheeses. Pair these wines with black olive tapenade, salade Niçoise and grilled chicken or fish. They can be enjoyed with grilled lamb chops with herbs or lamb burgers with Moroccan spices or sweet and sour salmon teriyaki. We paired Chateau la Coste, Grand Vin Rosé, 2014 with fresh pasta, slow cooked squash, crumbled goats cheese and pine nuts. The other pairing was crayfish salad with ruby red grapefruit, lemon, avocado purée, red chicory and apple frisée. Look for rosé wines from Bordeaux made from the Merlot grape and more expensive rosés wines from Provence such as Bandol and Palette. These fruity wines pair well with many foods especially Provencal cuisine – think tomatoes, garlic, saffron, peppers, anchovies, olives, olive oil and wild herbs. These wines can cost a pretty penny, so they should be enjoyed with rich, elegant food like lobster, salmon and tuna. The match with simple duck and lamb dishes like seared duck breast with figs or slow-cooked roast lamb. My favourite way to pair these rosé wines with food is to drink them whilst eating quality French cheeses smeared on a fresh white baguette. My favourites are Brie, Camembert and Epoisses. C’est magnifique. Look for Syrah and Cabernet rosé wines from California and Chile as well as from the Barossa Valley and McLaren Vale in Australia, which deliver uncompromising full-bodied wines. Fruity but not tannic, these full-bodied rosé wines match perfectly with barbecue food and spicy food like Indian curries and Thai noodle dishes. They also pair well with antipasto and grilled peach salads. Look for Cava rosat from Spain, Brachetto d’Acqui from Italy and Australian and New Zealand sparkling rosé. Pink fizz is perfect with fatty, fried dishes as the as the acidity and crisp bubbles will help to clean the fattiness from the palette. Serve with burgers, wings and tapas like traditional flamenquines (fried breaded pork with ham) and gambas al aioli (prawns in garlic and chilli oil). Sparkling rosé has a particular affinity with charcuterie (cured and smoked meats), duck and pork. Sweet sparkling rosé wines, like Brachetto d’Acqui, pair with cakes and tarts and are perfect for serving with afternoon tea. They also pair well with berries, almonds and chocolate. 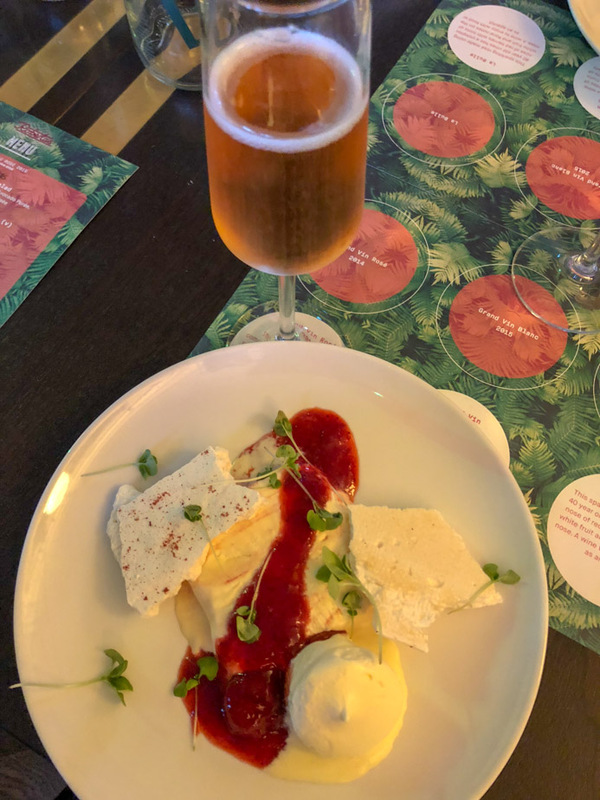 We paired Chateau la Coste, La Bulle sparkling rosé wine with a dessert of strawberry semifreddo, strawberry compote, fizzy strawberries, merengue and basil. But this sparkling rosé wine would also make a lovely aperitif. Look for the word Champagne, as sparkling wine can only be called Champagne if it comes from the region of Champagne, France, which is just outside of Paris. Further, champagne can only be made using Chardonnay, Pinot Noir, and Pinot Meunier, so check the label for these grapes. Serve lighter rosé Champagnes as an aperitif or with canapés and other light food like salads and steamed asparagus and white fish and meat. Pair more robust vintage rosé Champagnes with richer, fattier foods like lobster, crab, Italian ham, lamb, rabbit, grouse, pigeon and pheasant. 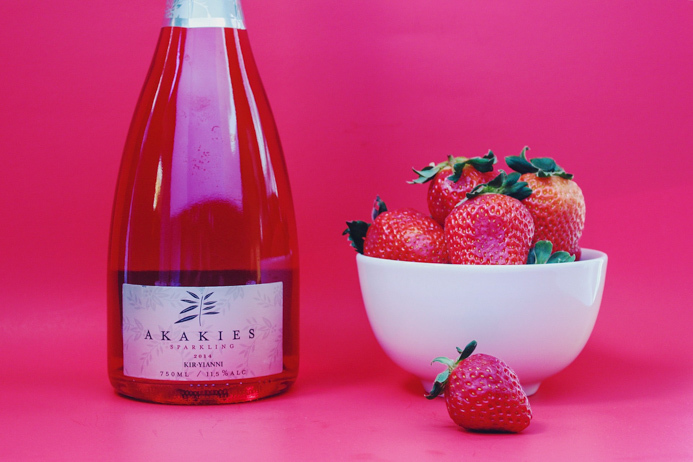 Vintage rosé champagne also goes great with ripe red berries. Chateau La Coste is a magnificant atypical art estate in a protected environment surrounded by a 500-acre biodynamic vineyard. It is very exclusive and chic and combines all the elements of the perfect French Art de Vivre: a unique artistic experience for those in the quest of calm, luxury and sensuousness. You can book a stay here and drink all the rosé wine, and the rest, that you desire. Have a look at the Chateau La Coste website for booking details. Find out more about rosé wine in my essential Rosé Wine Guide. 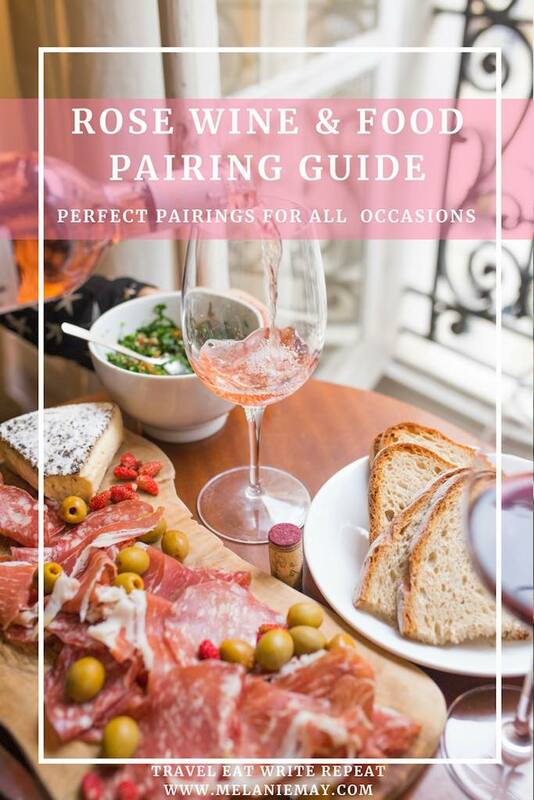 If you enjoyed this Rosé Wine and Food Pairing Guide, you may also like my Spanish Food and Wine Pairing Guide. If you liked this rosé wine and food pairing guide, please share with others.